Cameron Instruments of Guelph, ON, has expanded its sales team with the addition of outside sales accounts manager Amir Sharifi. He brings with him extensive experience and knowledge in the fields of pressure, temperature, flow, gas detection, torque and more. 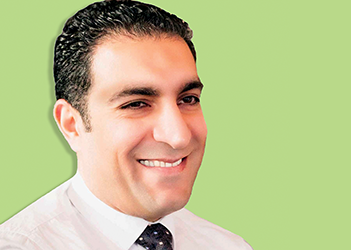 Sharifi has worked in a sales capacity as the technical sales manager for an instrumentation supply company as well as a calibration technician and technical and quality manager in an ISO 17025 accredited calibration laboratory. He looks forward to meeting new customers and providing the knowledge base to supply them with the solutions they require, Cameron Instruments says.